Do you know how much better your horn could be? Contact us or call 812-364-6421 to learn what treatments are available. 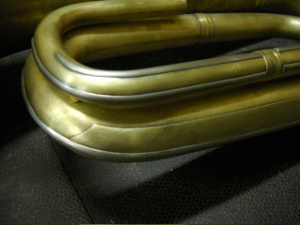 Every horn and every repair is unique. For this reason, we must examine a horn before giving a firm price estimate for services. However, the following listing provides an idea of the services we offer and general price range. Basic rate is $70 per hour. 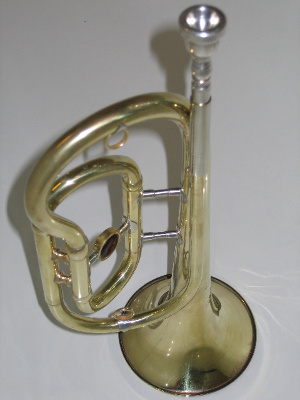 Build an entire custom horn. 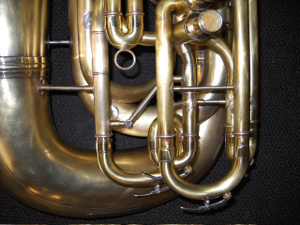 Call to discuss creating the horn of your dreams. Choose from a variety of finishes for caps and stems. Specify the pearl style to bejewel your horn and set it apart. Set of 4 tuba finger buttons: $125 USD. Call for availability and pricing of trumpet finger button treatments. Dragonskin™ finger button pearls. Strikingly beautiful with a distinctive tactile aspect that enhances a player's touch. 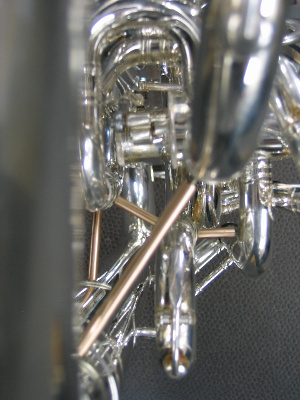 Martin tuba bits (6/4 size horn). Adjustable, reliable and indespensible! Set of 2 bits: $275 USD.